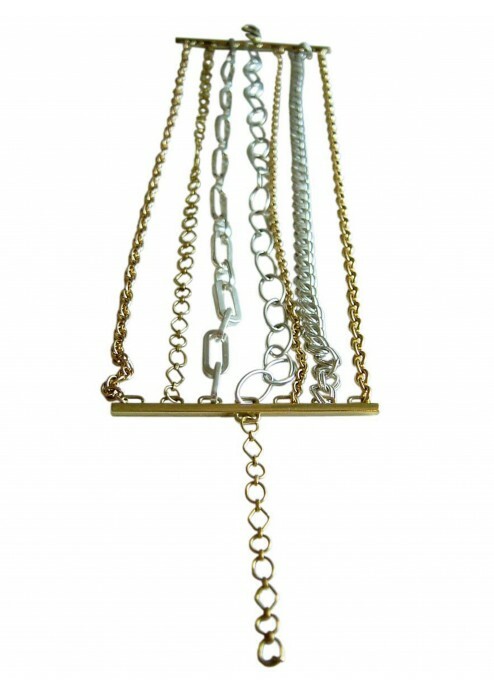 A mixed chain choker in 18ct yellow gold & sterling silver. 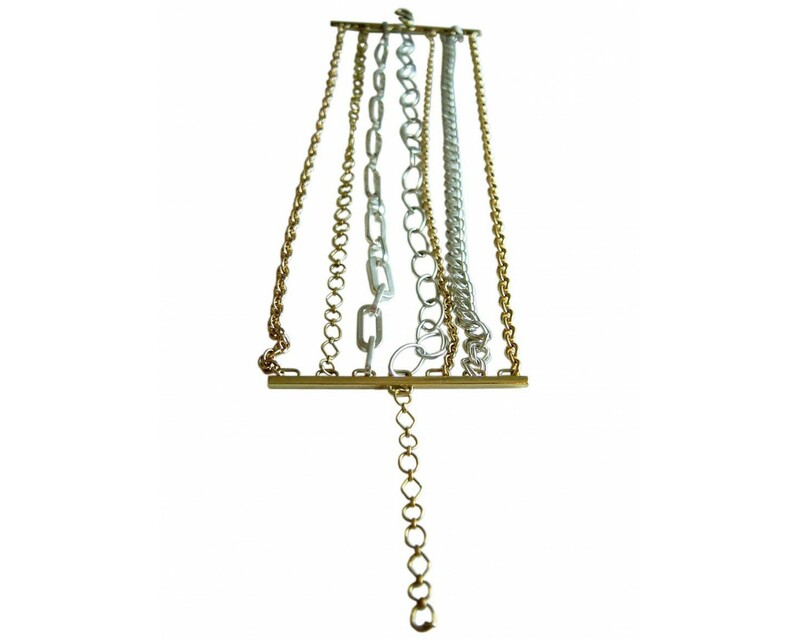 This multi functional and bold mixed chain choker is made up predominantly in 18ct yellow gold with additional sterling silver chain to great effect. 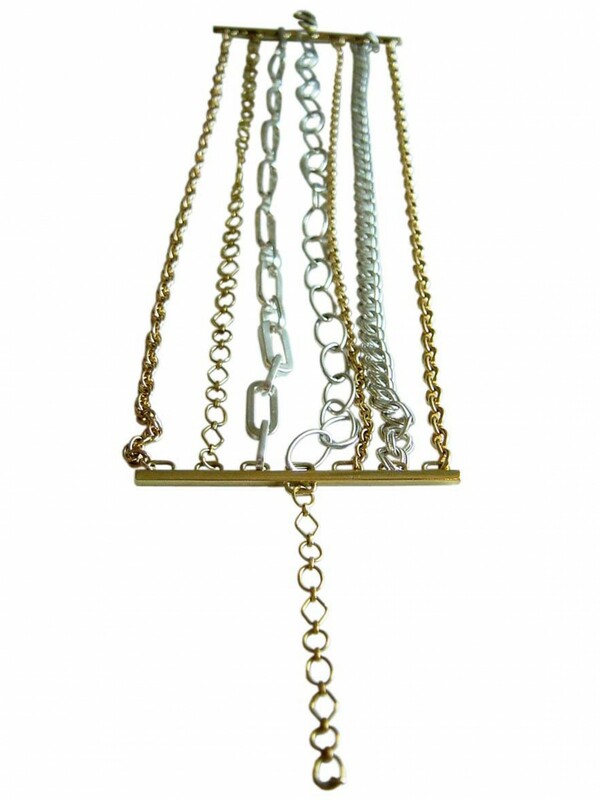 They hang from 18ct yellow gold solid bars of approx 5mm wide. It could also be paired with the Mixed Style Chain Bracelet.